Founded in 1987, Feed My Starving Children (FMSC) is a Christian non-profit organization committed to feeding God’s children hungry in body and spirit. The approach is simple: volunteers hand-pack meals specially formulated for malnourished children, and we send them to partners around the world where they’re used to operate orphanages, schools, clinics and feeding programs to break the cycle of poverty. 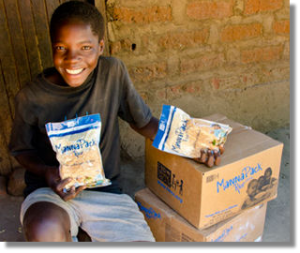 FMSC food has reached nearly 70 countries in our history.